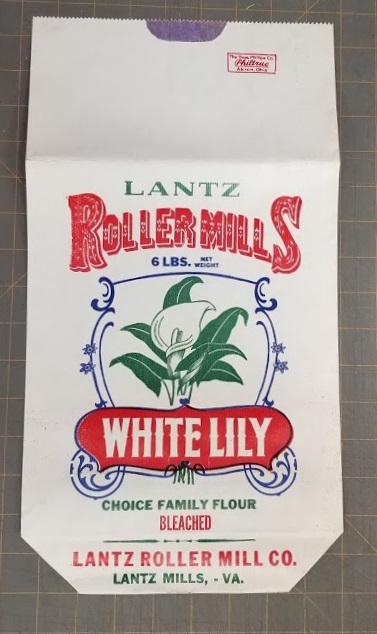 Lantz Roller Mills "White Lily" flour sack. 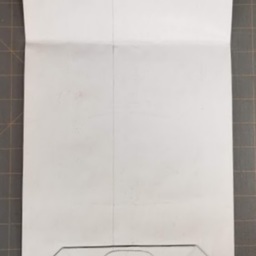 Produced in Lantz Mill Virginia by the Lantz Roller Mill Company. 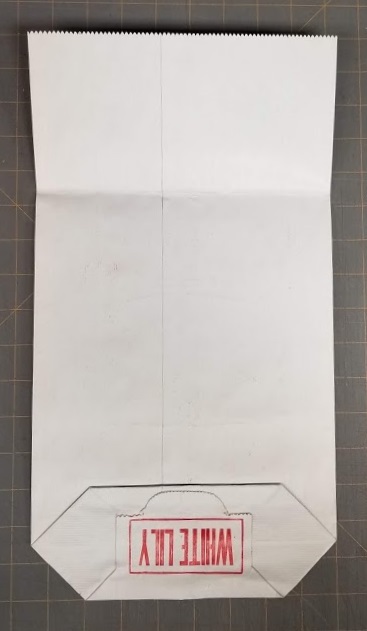 Lantz Mill Flour Sacks, Valley Business Collection, Truban Archives, Shenandoah County Library, Edinburg, Virginia. 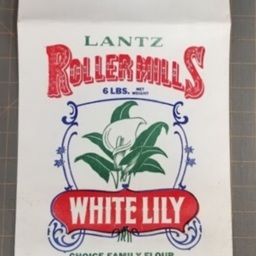 Lantz Roller Mill Company, “Lantz Roller Mills Flour Sack,” Shenandoah County Library Archives, accessed April 25, 2019, http://archives.countylib.org/items/show/12404.